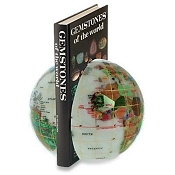 Gemstone Globe Bookends are luxurious works of art by highly skilled artisans.They feature 24K gold plated lines of latitude and longitude. 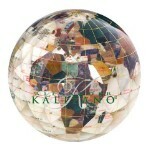 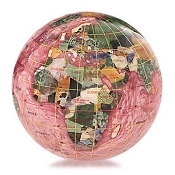 These beautiful Alexander Kalifano gemstone globe bookends are produced by hand using an elaborate process that is both meticulous and time consuming. 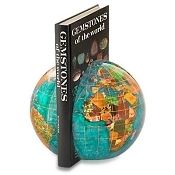 As with any hand-crafted work of art, it takes hours of painstaking craftsmanship and artistry to produce these beautiful decorative gemstone globe bookends.